Spooky photos prove life on mars ? 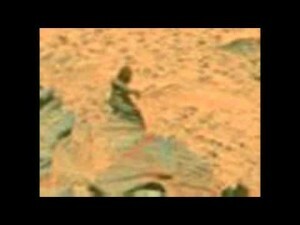 This video shows some photos taken of planet Mars. Are these photos reason to assume there is life on mars? What are the Crystal Skulls? Mythology is a mysterious thing that many people study and try to make a link between the stories and reality. People even go to school to study the different ideas of our past and try . Nemrud Dagh, TURKEY Here lies the ruins of the lost kingdom Commagene. In 62 bc a mysterious royal sancutary was build by King Antiochus the first. Collossal statues were created of lions and eagles and persian and greek Gods. As well as two massive . Constellations and Aliens Are there Aliens in outer space? Are there Aliens visiting planet Earth? So many people believe that these stories are true. Some people claim to have seen UFO's and even have been abducted and taken upon the alien . What do you think will happen in 2012?